Option 2 is a lot more compact than option 2 in order to reduce the surface area of the external walls. This will mean that the building will be more thermally efficient. As with option 1, the living accommodation is at the first floor level, with the majority of bedroom accomodation at the lower level. The master bedroom is located at the upper level with a snug that makes the most of the wonderful views on offer. 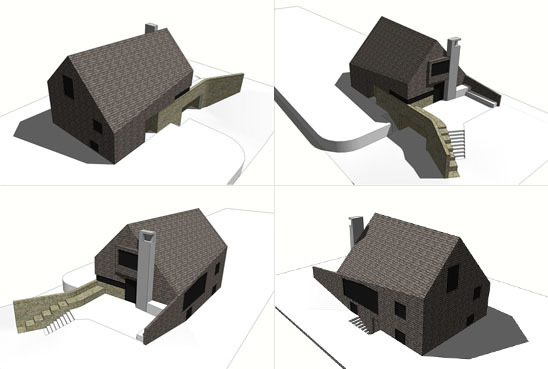 The roof ridge is twisted away from the plan so that photovoltaic panels located on the roof are orientated due south.